Subaru has at least four things going for it. With the exception of just one model – the BRZ sport coupe, which is a quasi-Subarau, a step-Subaru that’s really half-Toyota – every car they sell comes standard with all-wheel-drive. 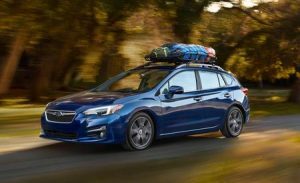 This is particularly standout in the lower-priced sedan/wagon market, where Subaru’s entry-level model, the Impreza, competes. 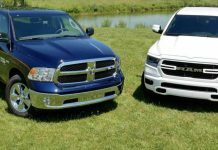 Everything else comes standard with front-wheel-drive – and virtually none offer all-wheel-drive, even as an extra-cost option. And – surprisingly – they’re not less expensive. This is Subaru’s real ace hand. 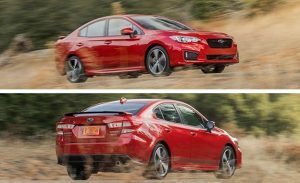 You can get into a new Impreza sedan – with all-wheel-drive – for less than you’d pay to get into a front-wheel-drive Honda Civic or Toyota Corolla. It may not be as fun to drive as a Mazda3 – or as affordable as a Ford Focus – but the Impreza’s pretty much the only way to get into an AWD-equipped sedan or wagon for just over $18k . . . without going used car shopping. The Impreza is Subaru’s entry-level model, available in both sedan and five-door hatchback body styles. Both versions come standard with all-wheel-drive, a unique feature in this class. 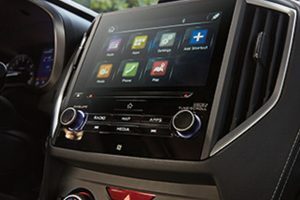 Prices start at $18,395 for the base 2.0i trim with a manual transmission; a top-of-the-line Limited hatchback with an automatic transmission stickers for $24,595. 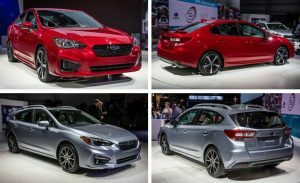 Because it is the only vehicle in this class/price range that comes standard with AWD – and because no other cars in its price range even offer AWD – the Impreza has few direct competitors. 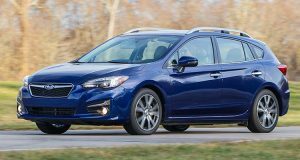 The 2017 Impreza has more interior room, a stronger standard engine and gets better mileage than it used to. Both the exterior and the interior have been refreshed and a number of new features have been added as standard equipment or can be ordered at extra cost. 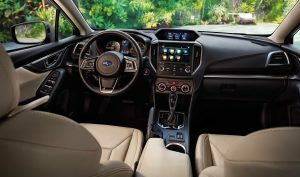 These include a larger (6.5 inch) LCD touchscreen (base 2.0i trim) adaptive cruise control (standard in Premium, Sport and Limited trims) a WRX-esque torque-vectoring version of the AWD system and a premium Harman-Kardon audio system with an upgraded (8 inch) LCD screen in Sport trims. Top-of-the-line Limited trims can be ordered with Subaru’s EyeSight safety suite, which includes lane departure warning/lane keep assist, automatic emergency braking and a blind spot monitor. AWD for about the same – or less – than most charge for FWD. Manual transmission isn’t limited to base trim; it’s available in the Sport as well as the entry-level 2.0i. Low-slung – and long-lived – Subaru flat-four engine. More backseat legroom than several other cars in this class. 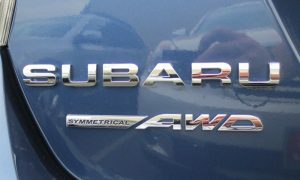 Added weight of AWD slows this Subaru down vs. FWD rivals – several of which are much quicker. No stronger/optional engine available (Civic, Mazda3 and several others offer upgrade engines). Some interior panels are hard-plasticky. A 2.0 liter boxer engine. This is car-slang for an engine that lays flat, with pairs of cylinders mounted facing each other across the crankshaft – so that when one piston fires, it “boxes” the one opposite it. This back-and-forth motion cancels out engine vibration without heavy external balancers, which in-line and “v” engines usually have to have in order to not shake themselves to death. 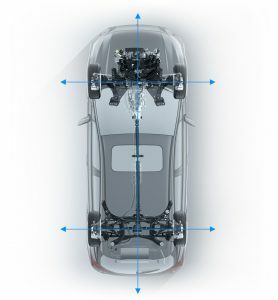 Since the Subaru’a boxer engine doesn’t need an external balancer, it is lighter. Its weight is also more evenly distributed (hence the “symmetric” moniker) and the engine itself sits lower in the car – both of which are handling helps. It’s no accident that Porsche and other exotic performance cars also use the boxer layout. On the downside, this particular boxer engine is a little underpowered for the car it’s in. Though power is up slightly for 2017 – to 152 from 148 last year – which is par for the class – the Impreza is a little heavy for that number. The sedan weighs 3,034 lbs. (3,047 for the five-door hatchback) which is heavier than many other similar-in-size FWD cars like the Mazda3 (reviewed here) which weighs 2,875 lbs. and the Honda Civic sedan, which weighs 2,739 lbs. This is because the Soobie is AWD – its blessing and its curse. The blessing side, of course, is the much-superior traction. 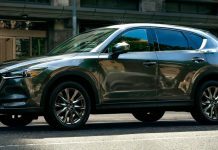 This car will go just about anywhere, on or off-road – the main limiting factor being ground clearance off-road (and for that, there is the Outback). It is an exceptional snow day car – and esteemed for just that reason by people who need a car that can deal with not-plowed roads and serious weather. FWD (and RWD) cars are practically crippled in comparison, because they’ve only got half the grip – literally. Two of their four wheels are merely along for the ride. The under-engined (or over-heavy, either is just as accurate) Impreza takes about 9.2 seconds to get to 60 under the best of circumstances, which is with just a driver on board. With several passengers onboard – plus their stuff – the time to 60 extends to double digits, into the tens. This isn’t terrible – it’s still speedier (if that’s the right word) than a Prius hybrid and one or two other Slow Movers. But it’s still on the verge of . . . Slow. On the other hand, it uses much less gas than it used to. The sedan rates 28 city, 38 highway – only a few MPG off the pace of the class-best Honda Civic (which is FWD, remember) and vastly better than the previous-gen Impreza’s appalling 20 city, 26 highway – which was on par with what some V8 muscle cars drink. Two major changes are responsible for the Impreza’s now-reasonable appetite: First, the Continuously Variable (CVT) automatic. 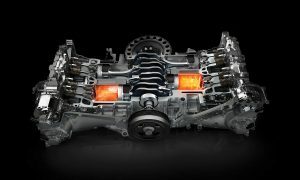 CVT transmissions are always in the “right” gear for any given road speed/demand made by the driver – because they have more than just the usual five or six fixed forward gears (four gears, for the Impreza’s previous automatic). Effectively, a CVT – which uses pulleys to continuously vary the mechanical relationship – has infinite gears. There are no shifts as such – though the Impreza’s CVT has seven defined forward ranges designed to mimic the operating characteristics of a conventional automatic’s fixed forward gears. Just without the coffee-spilling shift shock, which is another CVT advantage. Anyhow, efficiency is the reason why CVTs – which used to be nonexistent or at least very rare – now abound and may eventually become the dominant type of automatic transmission. 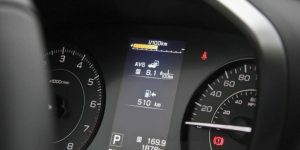 The other reason for the Impreza’s upticked economy is that the 2.0 liter boxer engine is now a direct-injected engine. This is worth about 3 MPG all by itself. The downside – down the road – is that direct-injected engines are prone to carbon fouling problems resulting from the cleaning effect of gasoline washing over the stems and backsides of the intake valves as it enters the combustion chamber – as it does in an engine fed fuel via port fuel injection. It remains an open question as to whether the mileage uptick delivered by DI is worth the potential future repair costs caused by DI. Subaru – the company – is a study in contrasts. On the one hand, there are rippers like the WRX (and the even more-of-a-ripper WRX STi) which have turbos bolted to their boxer engines and are all about speed . Then there is the Impreza. It reminds me of Edith, the not-so-hot-to-trot third sister in the Downton Abby series. With Mary playing the part of the racy WRX, of course. Like Edith, the Impreza is . . . practical. And yes, somewhat dowdy. But Edith is a steady, solid girl. The best one to marry, probably. The Sport trim tries to step out a little but other than a slightly more aggressive wheel/tire package (18s vs. the 16s that come standard in the lower trims) and a distantly WRX-y torque vectoring upgrade to the AWD system, this is a car that doesn’t sell because it’s fun to drive but because it is a sure bet it’ll get you there . . . eventually. And for many years – possibly, decades – to come. 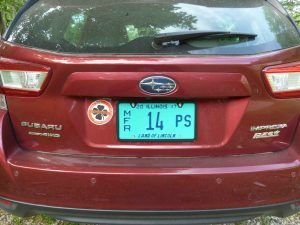 Subarus are immensely popular in my neck of the woods – which is deep in the woods, literally, of rural SW Virginia. Here, it snows heavily sometimes and the roads often do not get plowed for some time, due to the snaky nature of rural roads and their distance from the central hubs from whence the snowplow fleets emanate. So cars that do not get stuck are popular here. Their boxer engines seem to last indefinitely, which may be a function of the inherently balanced layout. They also take abuse better – if a casual survey of local iron is any indication. A good friend runs a repair shop locally and encounters Subarus with hundreds of thousands of miles on them still basically sound, in spite of once-every-now-and-then oil changes with nothing but the cheapest generic oil that happened to be on sale at War Mart. There is some noise, though. Part of this is – I think – the “growly” nature of Subaru’s engines. They have a distinctive sound – like old air-cooled VW and Porsche engines (also flat/boxer engines). It is not an unpleasant sound – but it is a sound. There is also the sound of the CVT automatic, which will let the engine rev to redline and remain there if you floor it, to wring maximum acceleration out of the power available, which of course isn’t very much. The car has tight steering – 2.5 turns, lock to lock – and an equally tight turning circle (35.4 feet) – which give it a nimble, easy-to-drive feel. This, however, is interrupted somewhat in the higher trims equipped with Subaru’s latest suite of safety systems, especially the Lane Departure/Lane Keep Assist systems – which pester you with a series of nagging beeps if you don’t signal before changing lanes. Which you probably should do . . . if there are other cars around. But its ridiculous to do so – just because – when there aren’t other cars around. Yet the system demands you do – or else, the beeps. To condition you. 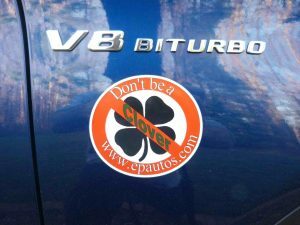 To be a good mindless law-abiding Clover. There are also the brakes to consider. The automated brakes – which will begin to clamp down preemptively when you don’t – even when it is not necessary to brake. The system is programmed to go fearful when the Impreza is with an astronomical unit (AU) of another vehicle ahead, even if you can see perfectly well that there is either time to stop or no need to stop, because that car is the process of turning off the road. This is The EyeSight Safety box… it sees all. In Subaru’s defense, all such systems operate on similarly nannyish principles. The Safety Cult so decrees. The good news is you don’t have to buy these systems as they are both optional and offered in the higher Limited trim only. 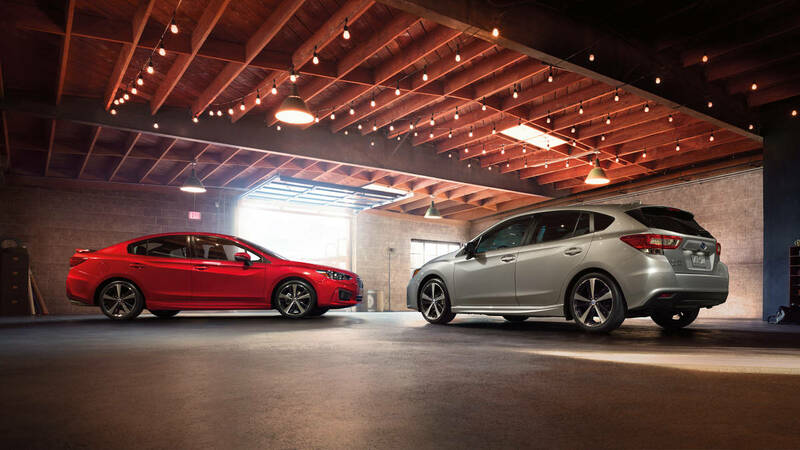 The 2017 Impreza is the largest Impreza to date. Like other “compacts,” the new Impreza inches – literally – ever-closer to being a mid-sized car in all but name. 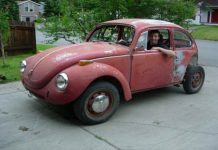 The wheelbase is 1 inch longer now (105.1 inches) and the car itself is 1.6 inches longer overall (182.1 inches for the sedan). Go back five or so years and those specs would have qualified as mid-sized. Inside, there’s 43.1 inches of legroom for the front seat occupants and 36.5 inches for the people riding in the backseat. To give you a feel for what that means, as far as spaciousness, back when the Impreza was a compact, it only had 33.5 inches of backseat legroom. The sedan’s trunk, however, is still compact. Just 12.3 cubic feet (the Civic has a mid-sized car’s 15.1 cubic foot trunk). 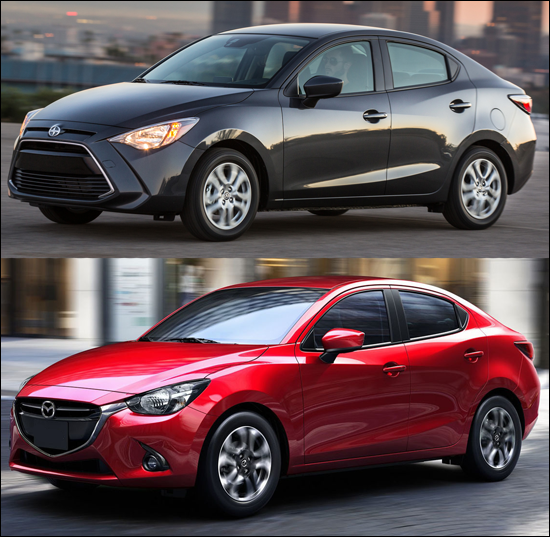 But – just like the Mazda3, which also has a small trunk in the sedan bodystyle – you can fix this by going with the five-door hatchback version of the Impreza. 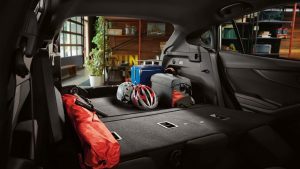 This almost doubles the cargo area behind the backseat to 20.8 cubic feet and provides another doubling of that to 55.3 if you fold them flat. The liftgate access also allows you to get cargo in there that would never fit through the smaller aperture of the sedan’s trunk lid. Just as the shell verges on mid-sized now, the trimmings are a notch above the entry- level, even though this is still Subaru’s least expensive car. This is a salutary trend across the industry. If you could teleport a 2017 Impreza (or Mazda3 or Civic or Corolla) back to the year 2000 it would startle people; they’d never believe these are the entry level cars. They would compare very favorably to circa 2000 near-luxury (i.e., cars in the Lexus ES350 class) cars. That’s only a slight exaggeration. Think about it. Standard LCD touchscreen; seat heaters in the next-up trim; leather trim and features such as Steering Responsive Headlights that turn with you in the curves. 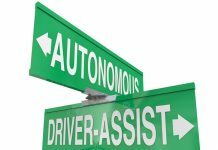 Automatic Reverse Braking that automatically halts the car if it senses a pedestrian in the way. 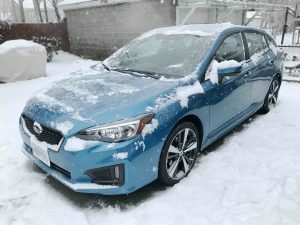 And most of the 2017 cars the Impreza competes with (kinda-sorta, if you forget their lack of AWD) don’t offer things like headlights that turn with you in the curves or automated reverse braking, either. While some of the Soobie’s available “safety” features can be nannyish, one thing that’s not is the still-there pull-up emergency brake lever. More and more new cars have a push-button/electric parking brake. The distinction is real and important. 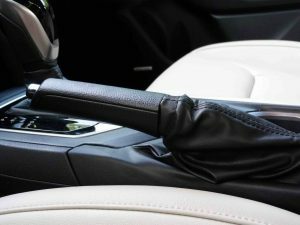 With a pull-up emergency brake lever, you are not dependent on electronics – actuators and sensors – so if the car goes Dark or there is a computer snafu, you can still use the emergency brake to slow/stop the car. Also, with a pull-up brake handle, you can control/modulate the braking force applied, so as to come to a controlled stop. With an electric-actuated parking brake, you can’t do that. It is also one more potentially expensive electronic thing to fritz out on you eventually – and hit you with a Big Bill. The pull-up parking brake, on the other hand, is just a cable – and they are both easy to fix whenever that’s necessary and cheap to fix. Even more amazing than the AWD Impreza’s low sticker price is that no one else has tried to horn in on this action. I have had both good and not-so-good experiences with Subarus, and my final call is that I will try a new one for one last time. I’ll start off by saying that bar-none, the Subaru is the best AWD car out there. This is primarily in the layout of its powertrain. The figure in Eric’s article is spot-on. There is no complicated drive-shaftery going on there. The layout, and especially the boxer engine, make it very easy (almost pleasurable) to work on. I can’t overstate this enough. You can get at everything you need to service in the engine bay. I have a 95 Legacy wagon, with 2.2L non-interference design. That little car is very tough! It is easy to work on and simple in its design. It does not have the head gasket issues that the 2.5L had, however it did blow all of its camshaft seals. From 1997-2011 (can you believe it went on for that long!!!! that is outrageous…) the 2.5L four cylinder used a poor head gasket, and had some aspects of the head design (like too tight of clearances/too thin of walls between water passages, etc) that caused head gaskets to fail. This happened on my 05 with 75k miles. I initially thought the oil leak was at the oil filter, because that was where I initially saw it. But after careful investigation (of thoroughly cleaning the entire area, then running the car while watching it for 20+ mins) I found that the leak was between the bottom of the head and the top of the cylinder. A seam runs right close to the oil filter base, so that is why I initially thought it was at the oil filter… After I had finally recognized this, I came to realize that the car had been doing this all along and should have passed on the initial purchase. (Now I know what to look for…) So, $2500 later I get new head gaskets (using an updated design, material and fabrication), milled head surface, new water pump, new camshaft seals, new timing belt, new coolant, etc. The rest of the car is so good, that I figured it was worth the $$ for this once-in-a-lifetime fix. Time will tell, of course. Some mechanics say that 2011 was the year they got the head gasket issues resolved. Generally speaking, I like Subaru. I’ve recommended them for years. This despite their obvious tendency to support tree hugging enviro-nazi agendas. However, they’ve started to lose some of their appeal in recent generations. First, reliability is falling. It’s true that older Subaru tend to last forever with basic maintenance alone, but that started to change about ten years ago. 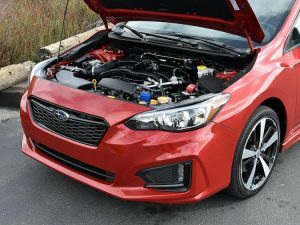 Today, Subaru boxer fours are notorious for a variety of problems and frequent failures that require expensive repairs or complete replacement of the engine. A friend’s 2007 Impreza with about 110k miles, which was well maintained, required a complete heart transplant after he discovered what he thought was a minor oil leak on his driveway one day. 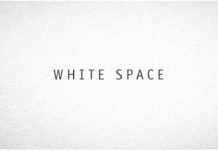 The dealership repair shop discovered several internal catastrophic problems that mandated complete replacement. I don’t recall the specifics now, but I looked up the problem online and it was a very common, and well known, problem with that particular boxer four in all Subaru lines. 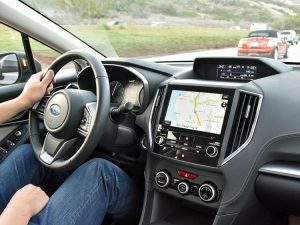 What’s worse was that it had been a problem across many years and even across generations, suggesting that Subaru just didn’t bother to redesign the fail-point because failures tended to happen past 100k miles, well beyond any factory warranty period. Second, related to the first, they are having to use new tech to keep up with the market. 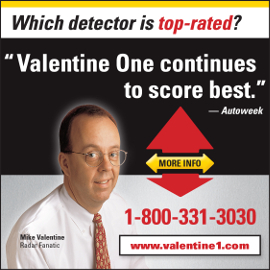 CVTs, though they’ve been around now for ten years or more, are still new and unproven tech. They are also very expensive to repair compared to a traditional automatic. 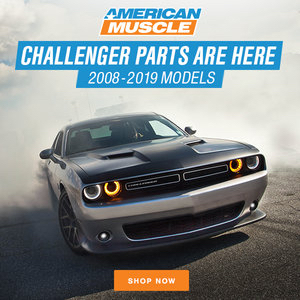 I’m not familiar enough with newer 7-, 8-, and even 10-speed automatic transmissions in many new cars to know if they’re superior in reliability, but one would assume they are an extension of well proven technology. 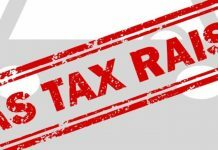 Plus, where a CVT has “infinite ratios” within the minimum and maximum gear ratios permitted by the CVT, that is actually a narrow window compared to what a traditional automatic transmission can provide. A 9-speed transmission can provide a lower gear ratio for quicker off the line starts and a higher top ratio for best fuel economy and have 7 ratios in between to closely match whatever the CVT might be able to produce in the middle ranges. It’s the same for direct injection, which has been around for a long time in diesels but not so much in gas engines. 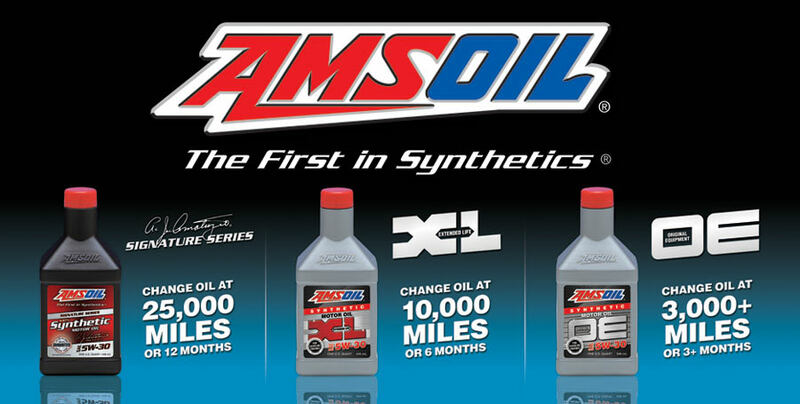 It requires much higher pressure fuel injectors which are more expensive and more prone to failure. The carbon buildup, which will hurt power and fuel economy, can be dealt with by injecting detergents into the air intake periodically, such as at maintenance services, and would be an extra cost service (much like DEF for diesel engine emissions in modern diesels). I’m not sure that doing it once every 10k miles would be enough to combat carbon deposits, but this is a more workable solution than doing the same for turbocharged DI engines. The last Subaru I had was a 1987 Hatchback. One of the last with part time 4WD. Normal driving was FWD. Pull the lever and engage the rear wheels. Funny thing: the FWD only version was 5 speed while the 4WD was 5 speed. I’d probably still have it if my son hadn’t flipped it and totaled it. Shame too. It was only 2 years old. Black ice was the excuse. Nobody hurt. That was supposed to say FWD was 5 speed and the 4WD was 4 speed. A coworker has a Subie with the EyeSight system and now somewhat regrets getting it. The thing panics ALL THE TIME on her because the lane markers here in Austin haven’t been repainted in years and so when the paint fades away, it thinks you’ve wandered out of your lane. Otherwise, they’re excellent (if slightly boring) cars and everyone I’ve ever known that had one has liked it. 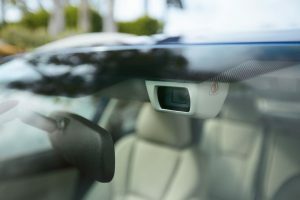 I actually like the blind-spot monitoring sensors – even though I have my mirrors adjusted correctly. All it does is turn on an amber LED in the mirror housing – it’s not intrusive and is fairly helpful. All the other stuff is feel-good junk. Much like the TSA. I wish you could order it a-la-carte but it’s always bundled up in a “driver technology package” or similar.